Pacific Lifestyle - Hegarty Lighting Ltd.
Pacific Lifestyle is a leading UK based, trade only, designer and importer of furniture, decorative lighting and home accessories. 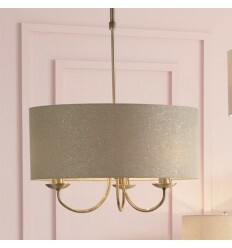 Elegant shaded three arm pendant finished in a soft antique brass and topped with a slim shade in taupe linen effect material with a pretty glitter thread running through. Adds a classic style with a modern twist to any room. Crisp geo design ceiling shade with laser cut pattern which creates pretty shapes around the room. Finished with a metallic inner this helps to show off the pattern detail. 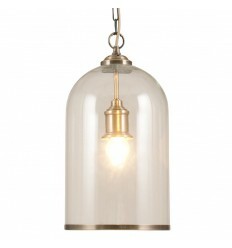 Add some classic charm to your home with this crisp clear glass cloche electric pendant highlighted with an antique brass metal trim on the bottom and matching ceiling chain. Bring the seaside into your home with our matt white lighthouse lamp. Endearing and whimsical, this lamp would add a coastal charm to any room. 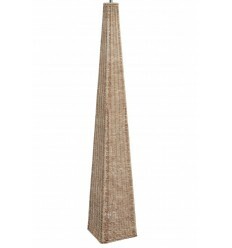 This floor lamp base is made from a beautiful antique cream wash Rattan and is in the shape of a pyramid. This lamp is unique and would fit perfectly in a room with a natural feel to it. This sleek modern tripod design is striking and stylish. 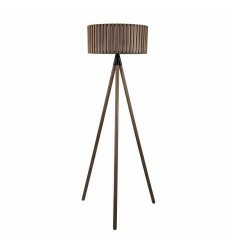 A wooden slatted shade diffuses the light in an elegant manner whilst the tripod element gives this floor lamp a contemporary edge. 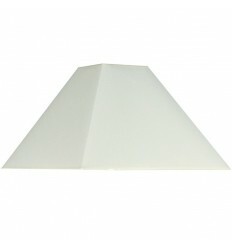 Classic 48cm heavy cotton tapered square shade in cream. 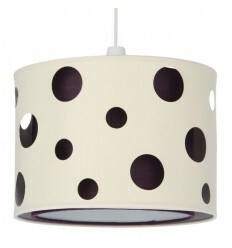 This non-electric pendant is a modern stylish shade. With its coloured inner, this easy fit pendant will add to the mood in your living space by emitting a soft, warm light, as well as adding a fun splash of colour.